Here are the shipping costs for easy reference. They are calculated automatically during the Checkout process. 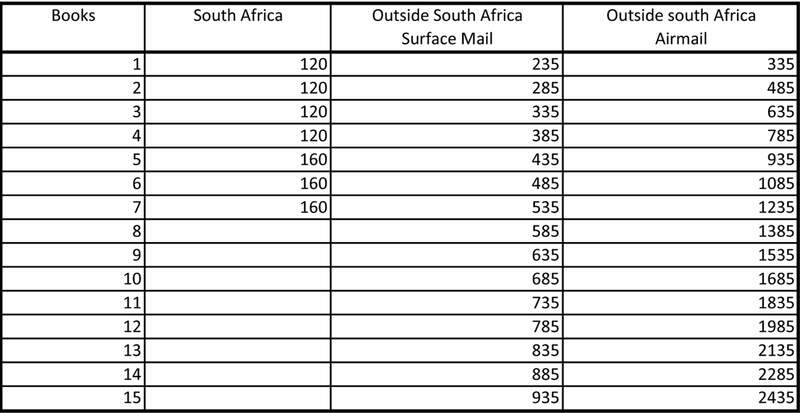 Costs are shown in ZAR (South African Rand).